Stand Up Paddle Surfing, also referred to as SUP or just Stand Up, is a paddle sport where people stand upright on a surf board and use a paddle for propulsion and to steer and brace. The sport finds its origins in Hawaii, originally a means of transportation. In the last five years the sport has exploded and is developing a strong following throughout the world. SUP is relatively easy to learn and inland lakes or calm rivers are a great place to start. The calm water will allow plenty of time to get used to moving around and balancing on the board. SUP is a fantastic upper body work out, improves your balance and is incredibly fun! And once you begin to feel more comfortable on your board you can start taking it out in the waves for a little surf session… or a big one depending on how Lake Superior feels. 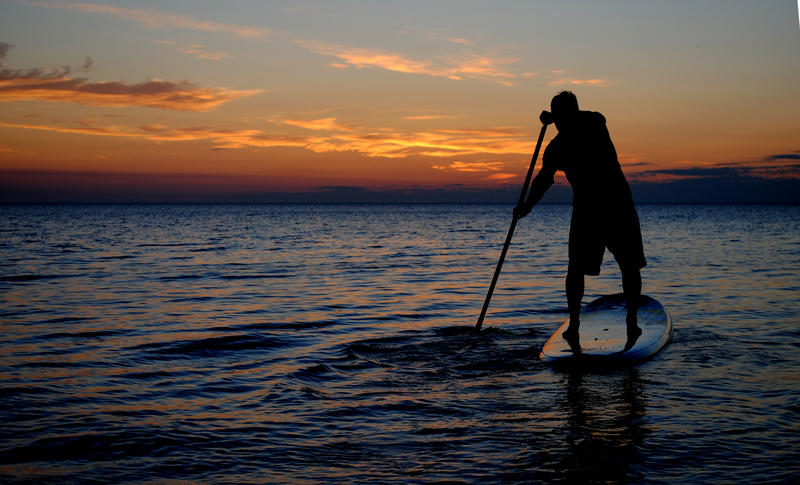 The Upper Peninsula and the beautiful clear waters of Lake Superior are the perfect place to enjoy a stand up board! Stop by either of our stores to see what they’re all about or to take out one of our demos.